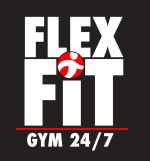 Start taking classes at Flex Fit and other studios! In the mood for some solo time on the treadmill, elliptical or weight machines? Reserve one hour of open gym time! Please make sure to bring your own water bottle and towel to aid you during your workout. Half the treadmills and ellipticals werent working correctly. Finally found one that was working and did 45 min. The staff also seemed confused about ClassPass... probably won't go again.